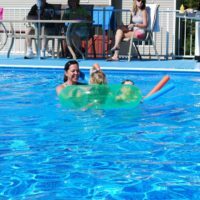 A Kayak above ground pool is more than just a pool, it's the ultimate family experience. Don't miss out on our Above Ground pool pre-season savings -- the biggest savings of the entire year. Contact us today to get the rock-bottom price on a Kayak pool! Kayak® Pool is the result of years perfecting the above ground pool. Not only is it a quality, lasting product, but dollar for dollar, it is a superior value for you and your family. 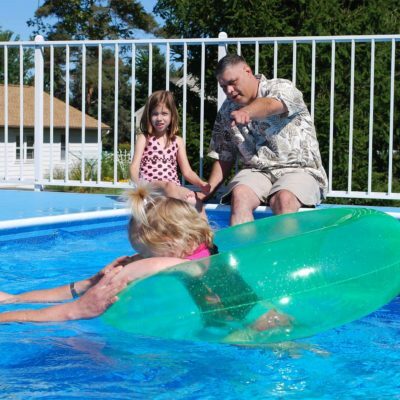 The highest quality features and a virtually maintenance free system are why thousands of people choose Kayak Pools. Our Decks Come in All Shapes and Sizes. One of the biggest benefits of a Kayak Pool over other above ground pools is our quality decking (& customization options.) 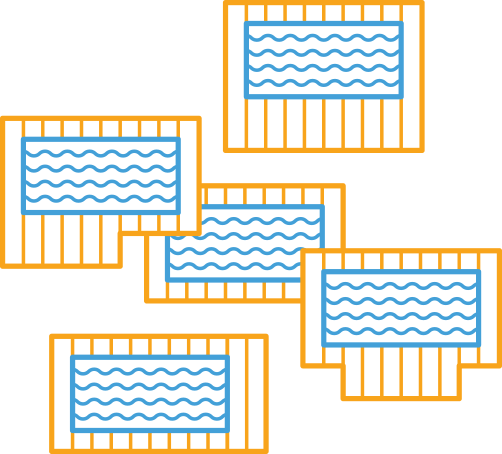 We have a handful of decking options for your above ground pool, and have created a simple deck configurator to help you find the best fit. 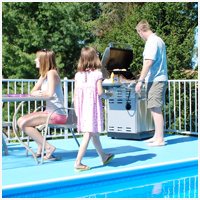 The end result of our above ground pool solutions is more than just swimming, it’s a one-of-a-kind pool experience! 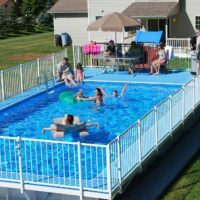 The Virtually Maintenance Free Above Ground Pool. Our filtration system is so advanced that a Kayak Pool is virtually maintenance-free! 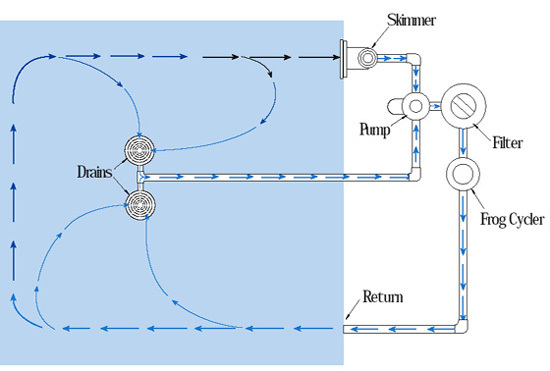 Thanks to a dual drainage system, and a best-in-class skimmer, we can generate constant circulation that cleans and purifies the water. This system is usually only found in expensive in-ground pool systems, but we are proud to have engineered this revolutionary process for our above ground pools! Vaccumming has become a thing of the past with Kayak Pools! Learn more about our amazing filtration system. We make our liners to last. 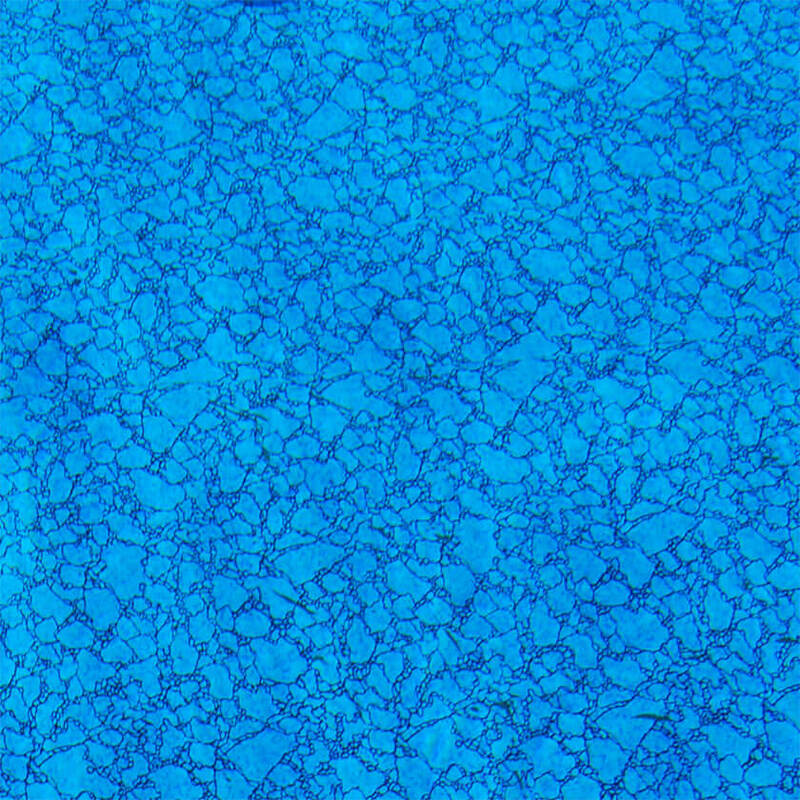 So much so, that we back up our liners on our above ground pools for 30 years! We can do this because they are built to last. 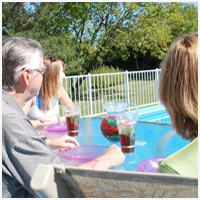 Our vinyl liners are winterized, beaded virgin vinyl with double-welded overlapped seams. At 25 mil thick with UV inhibitors, there is no need for reprocess plastics just long-lasting vinyl. Furthermore, the liner in anti-bacterial and retards the growth of fungus, mildew & algae. Simply put, a Kayak liner is built to last. The quality & craftsman ship is why we can back it up with an industry leading 30 year warranty. Rot Proof. Rust Proof. Weather Resistant. The Kayak Pool waterwalls are some of the strongest, most long lasting pool walls on the planet! Our walls are so strong you can jump or kick off of them and come with a lifetime guarantee! Our advanced honeycomb design mixed with an exclusive plastic engineered core give Kayak Pools an unparalleled level of sturdiness. 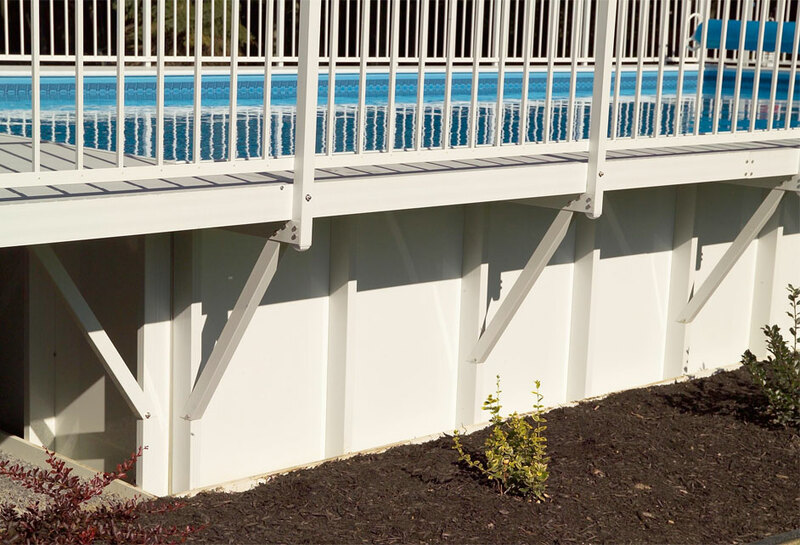 Take solace in the security of our above ground pool walls and swim/kick/jump with confidence! Some inspiration for your above ground Kayak Pool! Get a World-Famous Kayak Above Ground Pool Today!